Hello Faith Family! 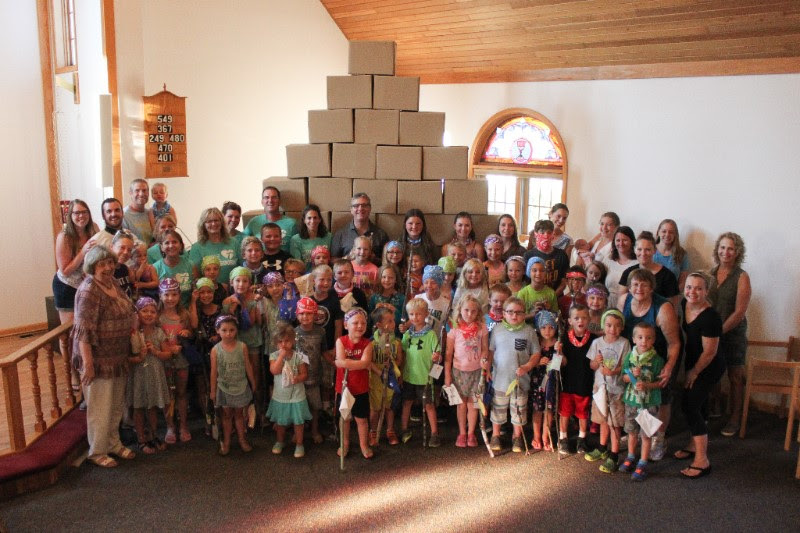 What a great week we had in VBS learning about the Exodus! We had 52 kids who came and enjoyed this gift. Wow! Talk about making a joyful noise! What I found to be the most amazing was seeing so many people who cheerfully gave their time and abilities to make the week such a success. There were almost 30 of you! The gifts were varied and each as important as the other: Sewing, decorating, cooking, planning, building, painting, photography and filming, leading, games, holding a hand, bathroom assistants, cleaning-up, crafts, acting, music, tech support and printing, enrollment support, donations, parents bringing their children, and children wanting to come. It wouldn’t have been the same without each and every one of you. The Spirit is definitely alive and active among us! Next Children’s Faith Formation September 9th!